A TV advertising campaign requires sufficient capital to produce or license TV commercials and maintain an uninterrupted weekly budget to buy media on several TV stations. The financial requirements can be difficult for a solo law practice to afford. Where the advertising is for personal injury cases, which can take from several months to years before income is realized, cash flow difficulties require an even larger amount of available capital. If you don’t have use of a 1-800 vanity phone number, which can reduce advertising costs by more than 50%, even more money is needed for advertising. Shared TV lawyer advertising programs or group lawyer TV advertising programs offer lawyers on a limited budget the opportunity to participate in TV lawyer advertising by combining the advertising dollars of many lawyers to form a competitive advertising budget. 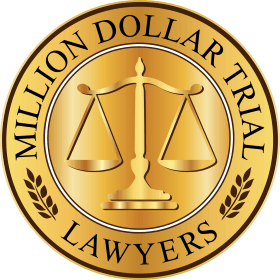 The only group lawyer TV advertising programs I am aware of are for personal injury cases. There are basically two types of group lawyer advertising programs on TV. 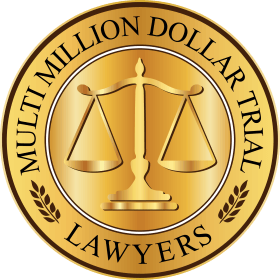 One method provides exclusive geographic territories to each participating lawyer. More common methods are sequential routing of telephone calls to participating lawyers in the TV advertising campaign who get a percentage of calls from the territory chosen. Some lawyers have done very well with both of these programs, while other lawyers have not. 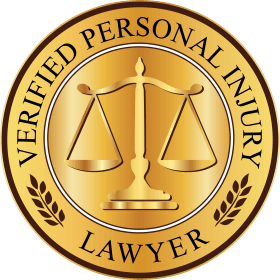 Advertising for personal injury works very well, the problem is when several lawyers share the advertising. Both methods of lawyer advertising offer advantages and disadvantages. Exclusive geographic territories, such as territories divided up by ZIP codes, offer the advantage of knowing that you’ll receive every phone call from your territory. If you’re concerned about receiving all of your calls, you need only to make test calls from any area in your territory and you should receive the call or a message in your office. Additionally, if the client calls you back on the same advertised telephone number, or refers that number to a friend, the caller will reach you and not another lawyer. Injury Helpline®, the only advertising agency in this category that I’m aware of, states that they use their own call center to answer the calls and gives the messages to your office. This is a very big advantage for solo lawyers who are not always able to answer the telephone when calls come in. If you’re a solo lawyer without a secretary or someone to answer the phones, your only choice would be to forward calls to your cell phone when you are out of the office. Unfortunately, cell phones are unreliable and some callers will likely reach your voicemail and hang up. Even if you have a secretary, there will be times during the day when both you and your secretary are out of the office or you may be out of the office and your secretary is involved in a telephone conversation and unable to timely answer the telephone just when a call comes in from advertising. Injury Helpline® will manage the TV advertising campaign and media buying for you, so all you have to do is handle the cases. Another advantage is that Injury Helpline® has been successfully doing business for over 20 years. A disadvantage of geographic territories is the qualitative differences between the territories. A territory may have a large low income project and maybe one or two hospitals in it which will perform very well for the lawyer, while other territories may be in industrial areas or in residential but less densely populated areas or upper-income areas. Since these programs have been around for over 20 years, the territories that perform well were usually taken a long time ago and are rarely given up, while the lesser performing territories keep coming up over and over again. Lawyer advertising groups using sequential routing offer the advantage of a much larger geographic territory. With this method, lawyers receive a proportionate share of telephone calls based upon their contribution to the advertising budget. This method allows all the lawyers in the larger territory to receive calls territory-wide, including any low-income projects or hospitals. 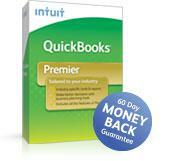 There are currently several group lawyer advertising programs of this type. The oldest and most well-known is Lawyers Group®. Lawyers Group® routes calls directly to your law office so you can speak directly to the caller without a delay. Lawyers Group® will manage the TV advertising campaign and media buying for you, so all you have to do is handle the cases. Disadvantages are that there is no way for you to know if you are receiving all the calls you are entitled to. If you choose to participate in a group lawyer advertising program using non-exclusive territories with sequential routing, make sure you choose a company that has been around for a long time. Lawyers Group® is an advertising agency that has been successfully doing business for over 20 years. Another disadvantage is that if a client tries to call you back on the advertised telephone number, they will likely reach another lawyer. There are disadvantages common to both methods. One is that it is not possible to distribute an equal value of cases to each lawyer. This problem is exacerbated by the fact that there are fewer people with personal-injury cases then people who are seeking mortgages or people looking to buy a widget. This creates the effect of a lottery. Some lawyers will get more cases, while some lawyers may get a lot of hangups and crank calls or uninteresting cases. Because there are so few large cases, some lawyers will be lucky and some will not. Even if each lawyer were to receive the exact same number of telephone calls, it is impossible to equally distribute an equal value of cases. For instance, if six lawyers are sharing your advertising market and there are only two seven-figure cases, obviously not everyone will receive a seven-figure case, and it’s possible that only one of the lawyers will receive both of those cases. 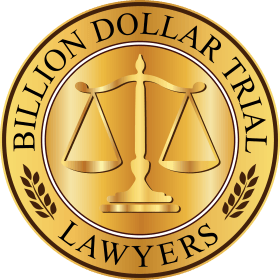 Group lawyer advertising in New York with 1-800-HURT-911 resulted in a few lawyers signing up a lot of cases and at least one lawyer signing up three seven-figure cases, while some lawyers did not do well at all. Additionally, group lawyer advertising programs claim that they spend from 65% to 70% of your money on advertising. This amounts to a commission of 30% – 35% which is substantially more than the usual 15% advertising agency commission. Group lawyer advertising agencies usually do not advertise at night or on weekends. Overnight ads are effective and less expensive. Frequently, some overnight and weekend bonus spots are offered for free to advertisers, however, group lawyer advertising agencies do not use these spots which are wasted. Finally, you have no control over the advertising budget. You can only buy additional territories or shares if they are available. Lawyers looking for aggressive growth will want the ability to increase advertising whenever they want. Shared advertising programs are a good way for solo lawyers on a low advertising budget to get involved with TV advertising. If you are unable to afford a group lawyer advertising program or interested in augmenting your marketing with a less expensive, no risk method, read my article “Inexpensive Lawyer Marketing”. If you are interested in aggressive growth and have sufficient capital for a continuous advertising campaign and to handle additional cases, then it is much more economically advantageous for you to have an exclusive TV advertising campaign and you will want to have the ability to increase your advertising budget whenever you want. If you brand a good 1-800 vanity phone number in your TV commercials, you can compete against lawyers spending millions of dollars with an advertising budget as little as $8,000 per month. To find out what makes a 1-800 vanity number good, read my article “Vanity Phone Numbers, What are they worth?”. The only way to avoid the lottery effect of sharing group lawyer advertising is to have territory exclusivity for your entire TV broadcast market, known as a DMA. If you have market exclusivity, you will receive all calls including crank calls, hangup calls, small cases, medium cases, and the few large cases.